Choose a tax professional to handle the filing of your taxes with the Arizona Department of Revenue by filling out the document and having all parties signing. 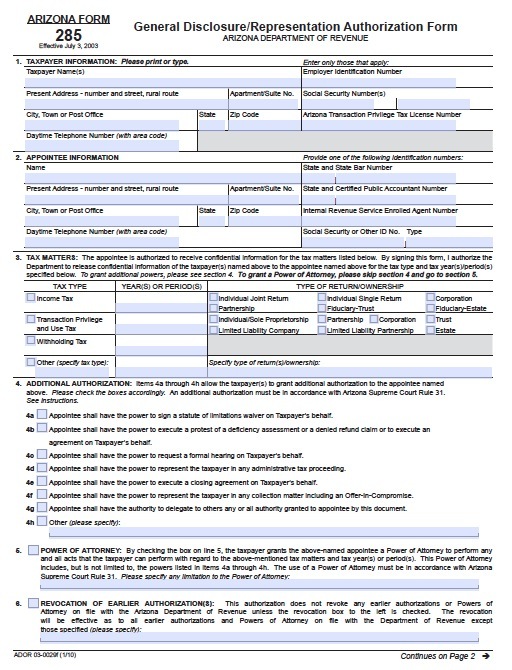 Unlike other State power of attorney forms, this one does not need to be authorized in the presence of a notary public in order for it to be legal for use. This is not to be used with any filings with federal agencies (IRS).